C.H. 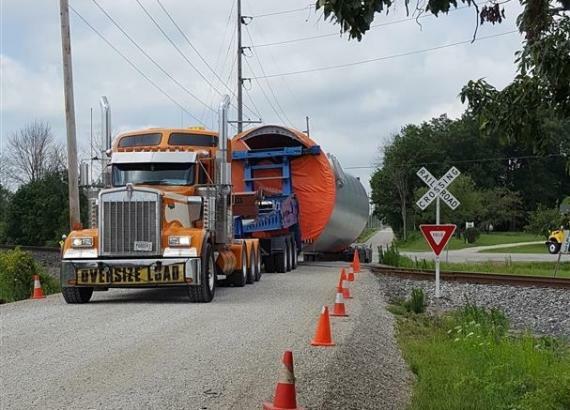 Robinson Project Logistics were thrilled to assist their client with the delivery of 49 complete wind turbines to a site near Bluff Point in Indiana, USA. 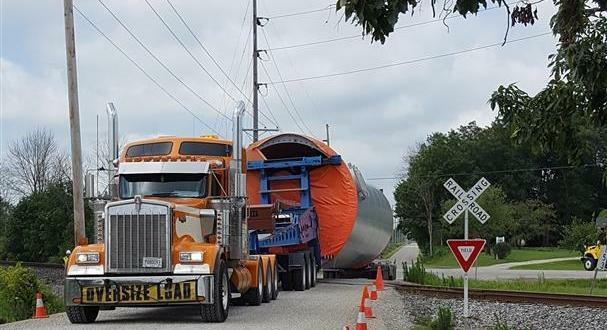 The project required 476 truckloads to transport the towers, nacelles and 147 blades at 56.9 x 3.94 x 2.9m and 11.5mtns each. The total cargo moved from the ports of Monroe and Garden City was 15,868mtns and 173,000cbm. Corinne Silbernagel at C.H. 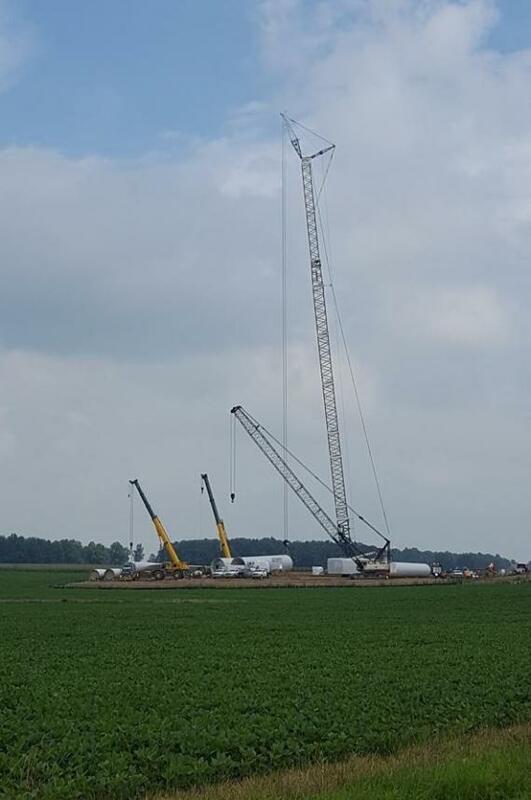 Robinson comments; "Due to planned and emergency road construction in various states, our wind specialists were required to develop an alternate conveyance. 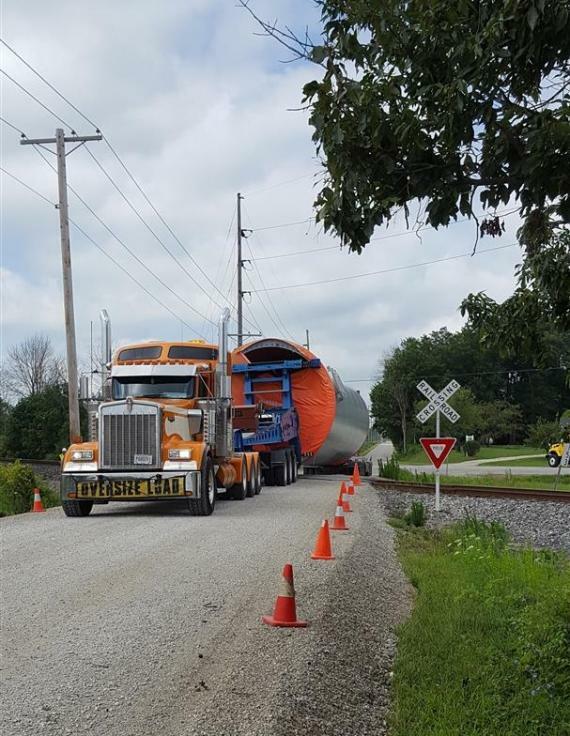 We worked closely with the various state departments of transportation in order to accommodate delivery. 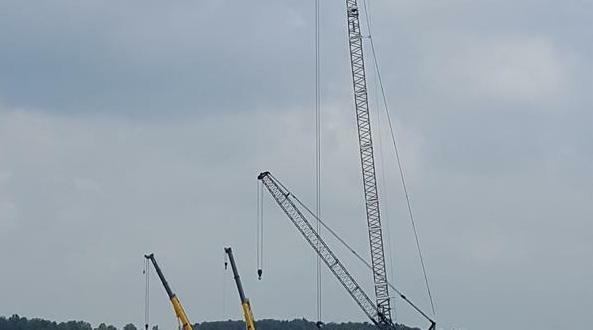 The entire project, which was Free on Truck (FOT) origins to FOT site, was completed in 7 weeks."